We invite you to share your view on the challenges and opportunities facing Australia’s humanities-trained workforce and its contribution to a range of industry sectors by responding to a Consultation Paper by Friday 31 May 2019. 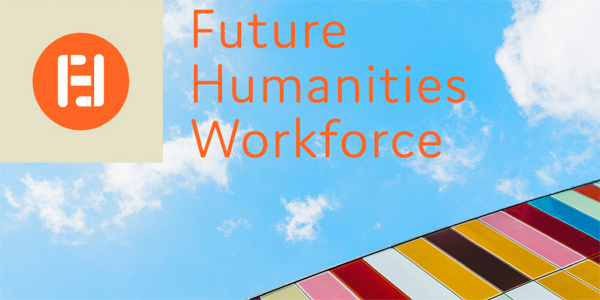 The Future Humanities Workforce project will provide a new and comprehensive account of Australia’s humanities research workforce and plan for its future knowledge and skills requirements to ensure we are positioned to adapt to changing research environments, digital disruption, and opportunities for interdisciplinary collaboration. How can we best support and develop the next generation of humanities researchers? What are the future knowledges and skills sets needed for the humanities academic workforce and graduates? What are the consequences of gender inequities for the health and capability of the humanities academic workforce? develop a distinctive set of workforce strategies to ensure the sector is best placed to contribute to Australia’s future, enabling effective responses to global opportunities and challenges, and to changing national research and training needs. Led by the President of the Academy and ARC Laureate Fellow Professor Joy Damousi FASSA FAHA, the project team includes Professor Jane Lydon FSA FAHA and Professor Graham Oppy FAHA, the Academy’s Director, Policy & Research, Dr Kylie Brass, and Research Officer, Dr Iva Glisic. Respond to the Consultation Paper by Friday 31 May 2019.